We have documentation of over 200 species sightings over several years and in one sighting we documented well over 100 White-faced Ibis circling the marsh at dusk and landing for an “over-night” stop-over. The Black-bellied Whistling Ducks were photographed the morning they left the nest. All the ducklings survived to be able to fly. These ducks hatch their young in September in southern Arizona because they feed on the seeds of aquatic grasses, smartweed, sedges, and they hatch ‘late’ waiting for these aquatic plants to emerge, flower, and produce seed. The adult ducks grab a grass stem and strip the seeds from the stem. The young ducklings flutter their little wings and paddle their little feet in order to reach the stems, they settle back in the water and strip the seeds from the stems. The Kingfisher frequents our marsh in the winter dining on crayfish and minnows. They are noisy guests at our marsh. They dive from a perch or hover and dive from above while defending their feeding territory. They winter in the South and as far as northern South America. The Great Egret is a frequent common visitor which winters in the South and Central America. The Snowy Egret is less common and smaller wintering in the South and northern South America. The Peregrine Falcon has a worldwide range more than any other bird and can be seen diving on our marsh at speeds up to 200 mph. The falcon winters in Central America, West Indies, to Tierra del Fuego. It was removed from the ‘Endangered‘ list in 1999. 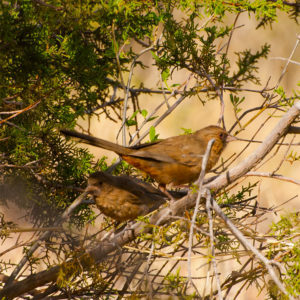 Future status of this endemic, sedentary species is threatened by increasing adverse cowbird impact and rapid disappearance of desert riparian habitat. These birds form long-term pair bonds on permanent territories near water. Shy and wary. During the extremely hot summers, activity is restricted to cooler parts of the day, early morning and late afternoons. Male and females sing duets. Young hatch asynchronously, leading to brood reduction if food supply is poor, as adults selectively feed only larger nestlings. This bird really likes our riparian willow trees surrounded by water in the marsh. 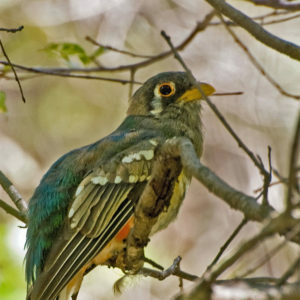 This bird winters from southern Mexico to Panama. 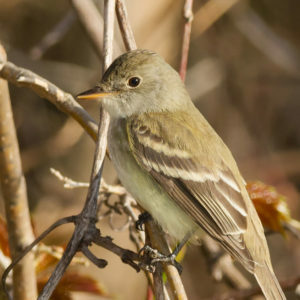 The Willow Flycatcher was listed under Special Concern in 1986. Cow birds also use this bird’s nest to place their eggs and force the Willow Flycatcher to raise their young along with the Willow Flycatchers young, usually at their detriment. This proposed ‘Endangered’ bird likes our riparian marsh woodland and feeds heavily on the hairy caterpillars, of the Simyrainsulas moth on the cattails in the marsh. They also feed on lizards, frogs, and berries. Breeding often coincides with outbreaks of tent caterpillars, cicadas, etc. Prey abundance may lead to production of excess eggs and thus to brood parasitism. These birds winter in northern South America, S E Peru, Bolivia and Northern Argentina. An exciting sighting during spring migration. 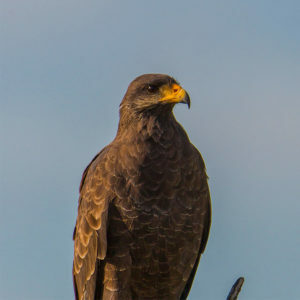 This hawk is common in Mexico, Central America, Northern South America, and can be difficult to identify when perched when compared to the Zone-tailed Hawk. 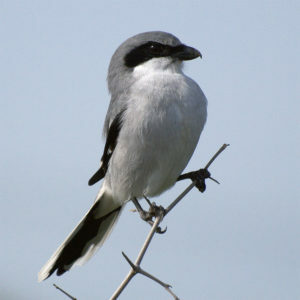 Known to pin its catch on Mesquite thorns and barbed wire and then return to eat its catch. 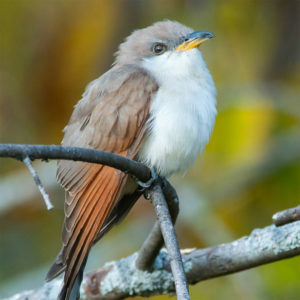 This is a Mexican bird which perches with rump out and tail down nesting in tree cavities.